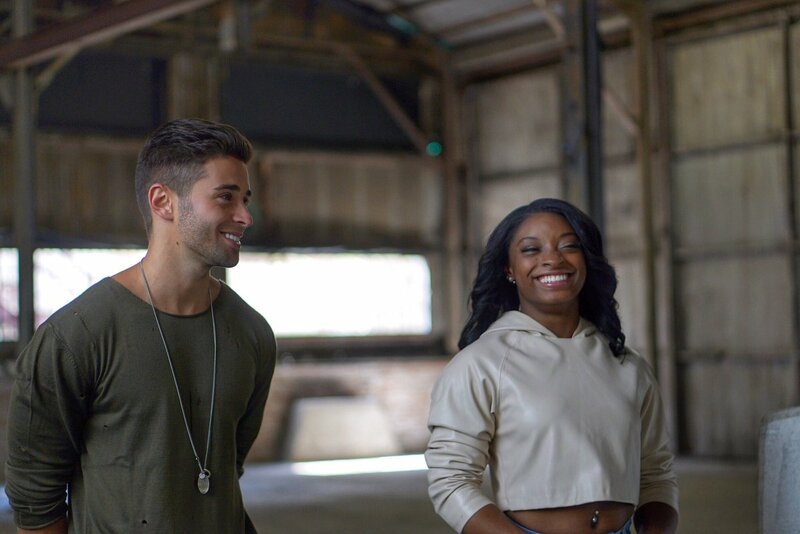 Article: When Is Jake Miller’s “Overnight” Music Video With Simone Biles Coming Out Because We Need To See It ASAP! Behind The Scenes Look Here! Ever since singing sensation Jake Miller came out with his masterpiece of an EP titled, “Overnight,” we’ve been nothing short of obsessed, and it looks like we aren’t the only ones! In fact, America’s hero, the iconic Olympic Gold medalist in gymnastics, Simone Biles loves it too and even shared a video of herself and Laurie Hernandez jamming out to Jake Miller’s incredible tune! Needless to say, when we found out that Jake Miller was going to be filming his “Overnight” music video, we all couldn’t be anymore excited, and we were even more thrilled to find out who will be starring in the music video! We were super excited to find out the news and we loved how Jake Miller kept us all updated on his fun day of filming with Simone Biles through his Snapchat. Simone Biles even shared some behind-the-scenes pics from the music video shoot and we are getting #TheFeels. When is this music video coming out because we need to see it ASAP! Jake Miller then came out to support Simone Biles at the Staples Center. He shared the excellent photo as seen below on his Twitter account. We love seeing Jake Miller and Simone Biles’ exceptional friendship and how they support each other. We’re totally counting down the days until Jake Miller’s “Overnight” music video starring Simone Biles comes out and our excitement is at a whole different level! Next Article: Olivia Holt Looked So Ravishing At The Teen Vogue Young Hollywood Party!